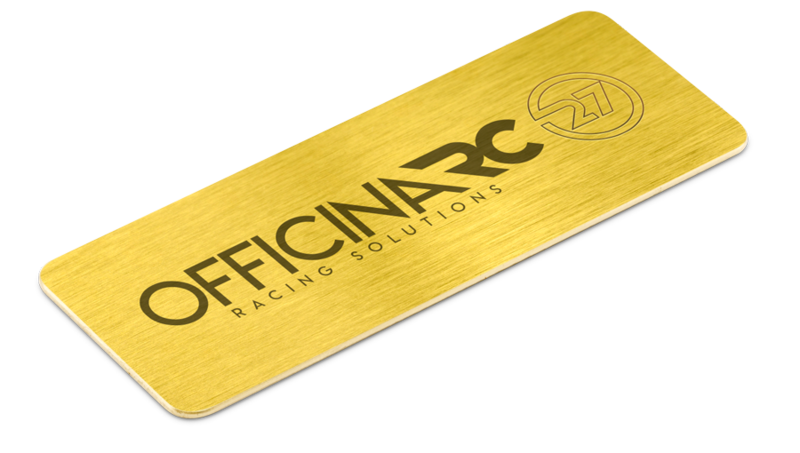 Officina RC is excited to announce the release of its “Universal Battery Plate LCG” designed to get the most out of the new generation batteries. 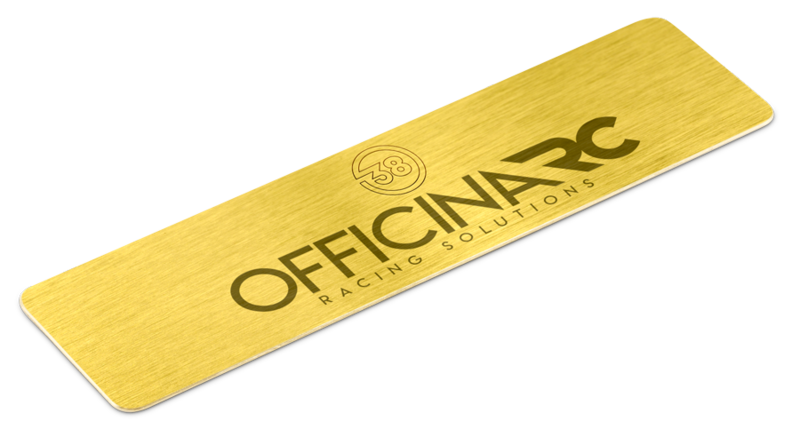 The OfficinaRC 38g (OFC-008) 131mmx34.5mmx1mm is designed to be used with a standard measurement battery. This plate can be applied using double-sided tape on the battery or directly on the chassis. In the last year all the most important batteries providers focussed in the development of products with reduced weight lowering the center balance in order to have the best performances. This weight reduction has instead created the need to add additional weight to the model to reach the allowed weight and to balance the model. 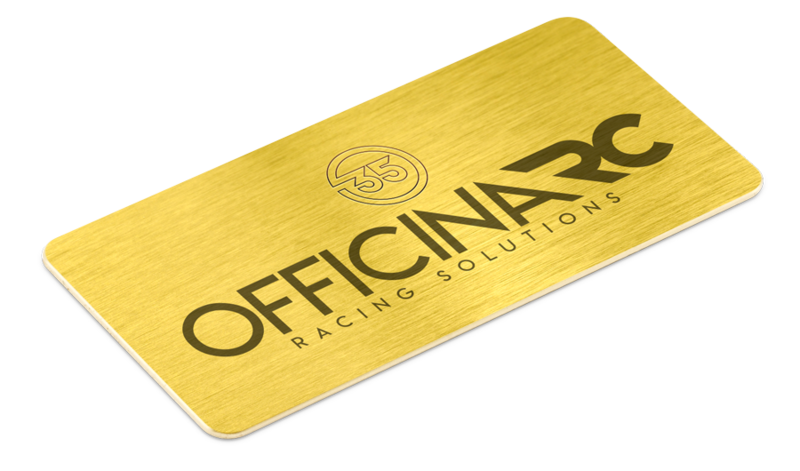 Officina RC has created this Battery Plate of 0,6mm that weights 32gr to use under the batteries. 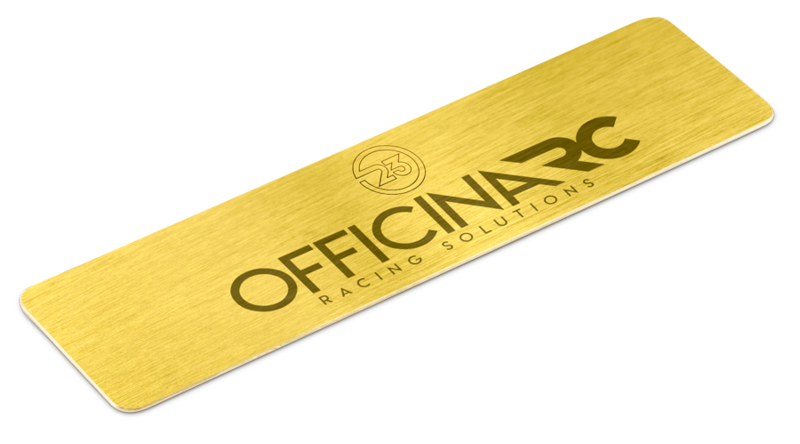 The Officina RC Battery plate LCG balances the model without loosing the beneficial performance of the LCG batteries. The Battery Plate LCS could be fixed directly on the chassis or on the batteries with tape. The OfficinaRC 23gr (OFC-005) 131mmx34.5mmx0.6mm is designed to be used with a standard measurement battery. This plate can be applied using double-sided tape on the battery or directly on the chassis. The Officina 35g (OFC-007) 92mmx46mmx1mm has been designed for anyone who needs to add weight to shorty batteries. Particularly suitable for those who use LCG batteries and need weight positioned at the bottom. Excellent for OffRoad and Formula but also indicated for those who want to use this type of batteries on touring. 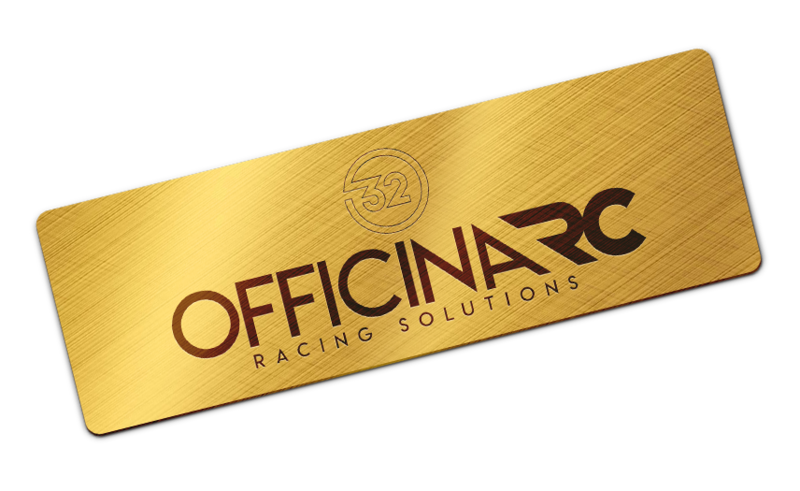 The OfficinaRC 27gr (OFC-006) 92mmx34.5mmx1mm is dedicated to those who want to use shorty batteries on touring. Its measures allow you to balance the model using only the supporting surface of the chassis.